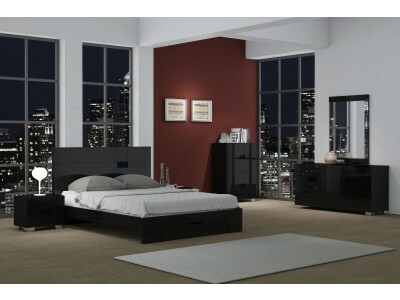 Gina bedroom set comes in walnut lacquer finish which is durable and stylish. 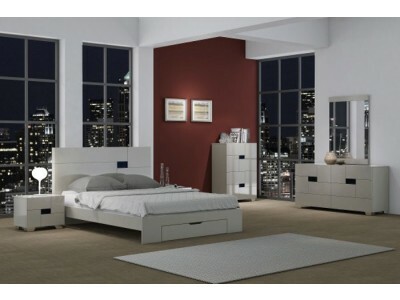 Platform bed does not require box spring and includes storage drawer in the front which can be completely taken out. Walnut lacquer finish on nightstands, dresser and chest equipped with smooth closing drawers. Modern horizontal lines design with squares. 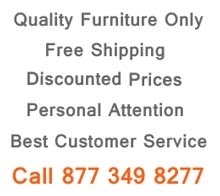 This collection is also available in light grey color finish.